If you’re “Searchin’” for fun, take a trip with the Hottest show on the Rock`n`Roll dance circuit, where you can “Rock Around The Clock”! 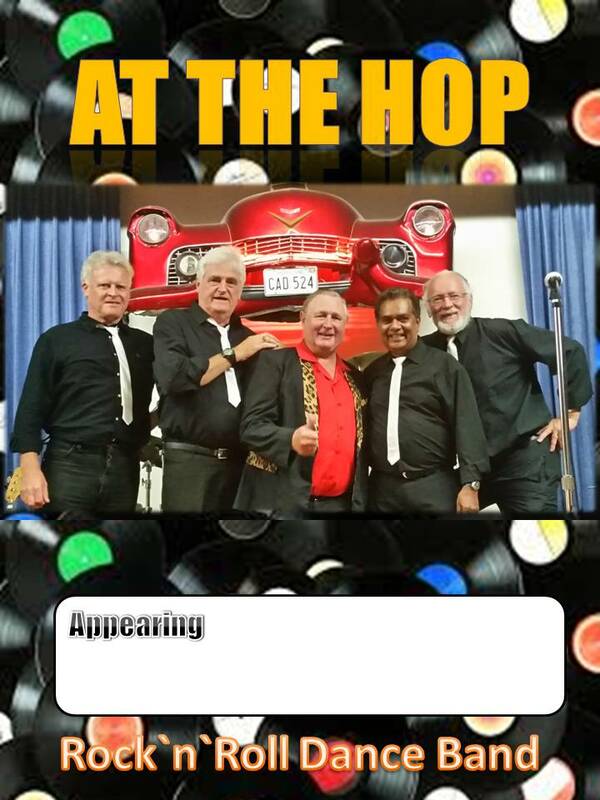 As the fabulous “At The Hop” show heats up the stage, you can Rock It...you Can Roll It... Bop & Even Stroll It! At The Hop thinks that a live band should be more than just pleasing to the ear. That's why the five members dress in colourful tailored outfits, and with their stylish guitars, look as if they've jumped straight out of a time machine. Front-man Dave does not like to be contained on stage and is forever entertaining, often leaving the stage, with his radio microphone, interacting with the audience. 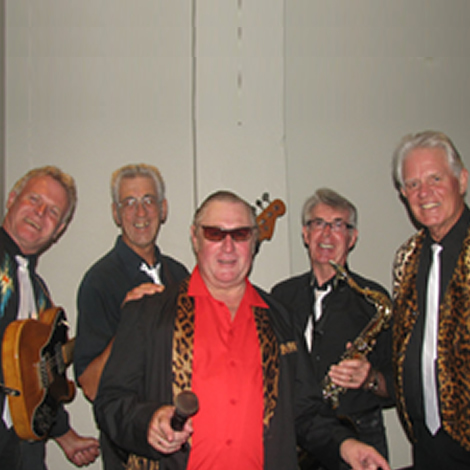 At The Hop, look the part, sound the part and a brilliant example of a typical 50's Rock`n`Roll show. You be the judge, when At The Hop appears – So does a big crowd. Be sure to check out some sample video above and audio samples below.